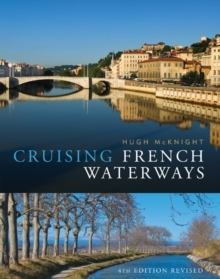 Cruising French Waterways has rapidly become the leading descriptive guide to the astonishingly varied network of rivers and canals that penetrate almost every region of France. Winner of the Thomas Cook Guide Book Award, it is full of fascinating information on the history and commercial activities of each area, as well as the historical sites, chateaux and scenic attractions of the many villages and towns which await discovery by water. Practical details include the maps and guides available for each area, maximum craft dimensions, bankside facilities, moorings, repair yards, shops, restaurants, fuel and water sources, waterways museums and wine regions.